Against seventh-ranked Great Britain, India went down 3-0 in their second pool B match at the Rio Olympics. Giselle Ansley (25th minute), Nicola White (26th minute) and Alexandra Danson (32nd minute) scored for Great Britain. India are ranked 13th. 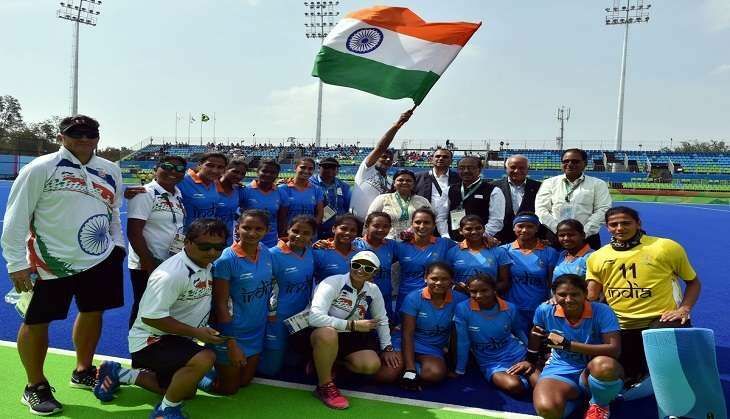 After qualifying for their first Olympics in 36 years, the Indian women's hockey team had a draw and a loss to show after their first two matches. India held Great Britain to a goalless first quarter but two quick goals in the second took the game away from them. Giselle Ansley converted Great Britain's first penalty corner of the match. India didn't get their first penalty corner until the final quarter. A third goal, early in the third quarter, sealed the win for the British. India failed to convert either of their penalty corners in the final quarter. They even failed to score from a one-on-one position late in the final quarter. After an inspiring comeback in their opening match against Japan to secure a draw, hopes were high for the Indian women's hockey team. It wasn't to be as they were outplayed in every aspect against the British. In Pool B, Great Britain are now top of the group while India has slipped down to fourth spot.